Edward T. Horn, PharmD, BCCCP, was elected as Vice-Chair for the Pharmacy and Pharmacology Council of the International Society for Heart and Lung Transplantation (ISHLT). This organization serves as a leading body to promote the treatment of advanced heart and lung disease through transplantation, mechanical devices, and innovative therapies. This position will commence at the ISHLT Annual Meeting, held April 2019 in Orlando, Florida. The term is 6 years long. This elected position continues Horn’s involvement with the organization, previously serving as the Pharmacy and Pharmacology Council Communications Liaison (2013-2018), with the prime responsibility of curating and promoting articles written by council membership for the ISHLT Links newsletter. Under Horn’s leadership, the Pharmacy and Pharmacology Council received multiple awards, including Writer of The Year in 2014 and 2016. 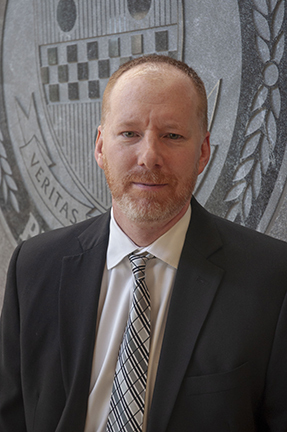 Horn is a graduate from PittPharmacy (PharmD ’00), completed his PGY2 Critical Care Pharmacy Residency at UPMC/Pitt (’02), and is currently an Associate Professor in the Pharmacy and Therapeutics department at PittPharmacy.